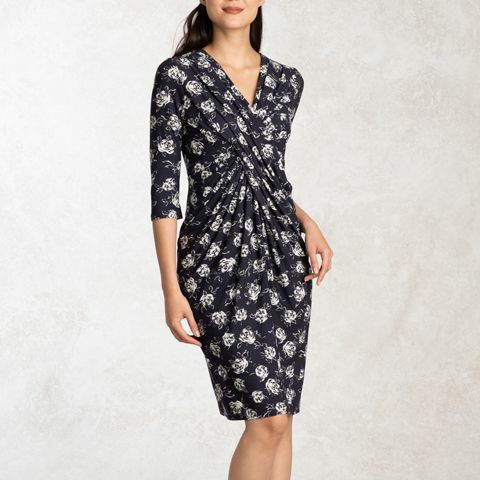 Our stunning Venus drape dress meets our new original rose print in navy for a glamorous dress that's a pleasure to wear. Expertly handmade in Tokyo from a single piece of draped fabric using artisan sewing and tailoring techniques. 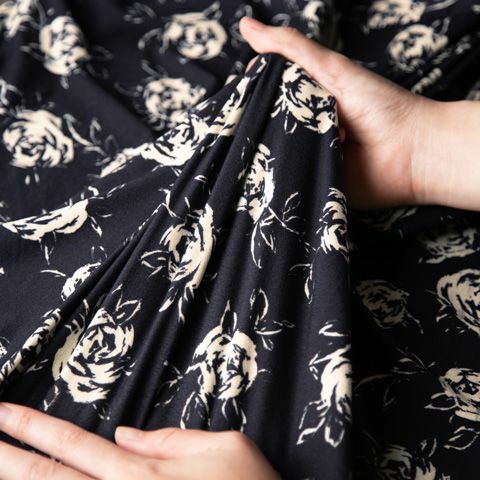 Instantly create a dramatic hourglass silhouette with this hand-draped dress. 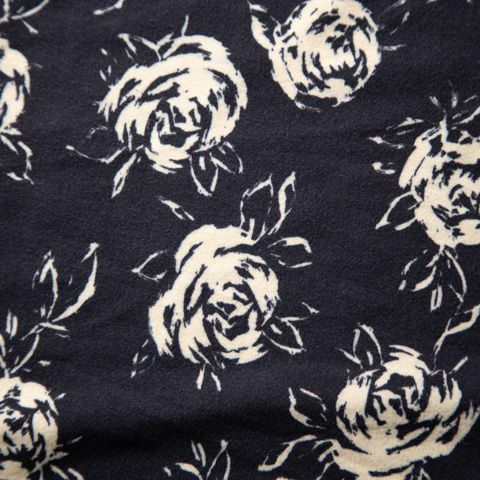 Our original rose print is inspired by old England, for a romantic feel.